My alarm went off a little earlier than I had wanted it to. All of last night, I tossed and turned. I knew when I woke that I’d be in my second year of Pregnancy and Infant Loss Awareness Month and what should be Jensen’s year and a half monthday, coming up on the fifth. After pressing a hundred buttons to quiet my phone, I threw on a sweatshirt, and made my way on my front porch. Fall welcomed me. This might sound silly, but it’s been so warm here lately. The cement was freezing on my feet and the sun had just started to show itself behind the wall of trees. I whispered, ‘Good morning, Jensen. I love you so much,’ then started snapping. 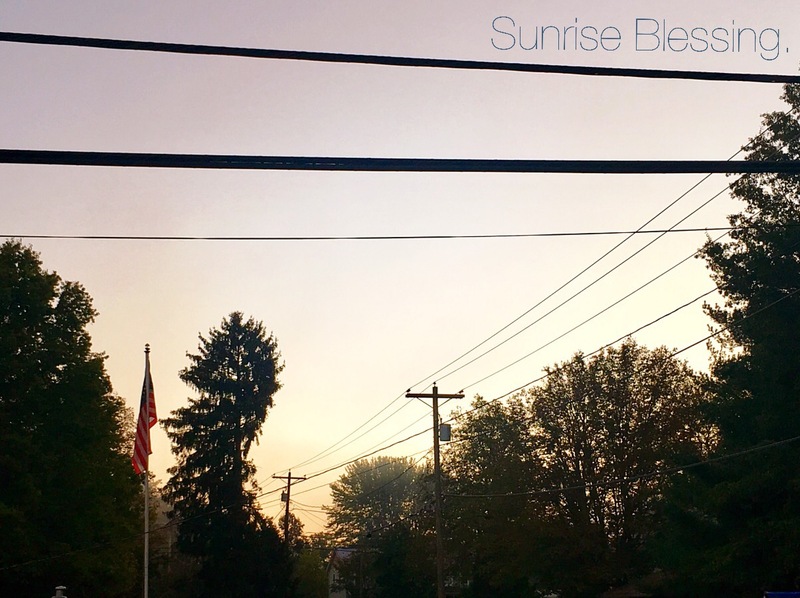 It hit me that one year ago at this exact minute, I was sitting on my porch waiting for the sun to rise again. I waited for the perfect shot and had my props ready. The sun had risen and the sky looked beautiful. Then I stared at the sun and the picture I had taken today; it was so much different from last year. Instead of a pink and blue skyline, I captured darkness and a perfect orange light. The trees look so rigid and dark. I wondered if I should have waited a little while longer out there. That’s what I would have done before. But, that’s not how my grief is right now. This sunshine blessing let me know I’m right where I’m supposed to be and if that’s rigid and raw, then so be it. Jensen’s life and legacy is still beautiful. My grief journey is still evolving. 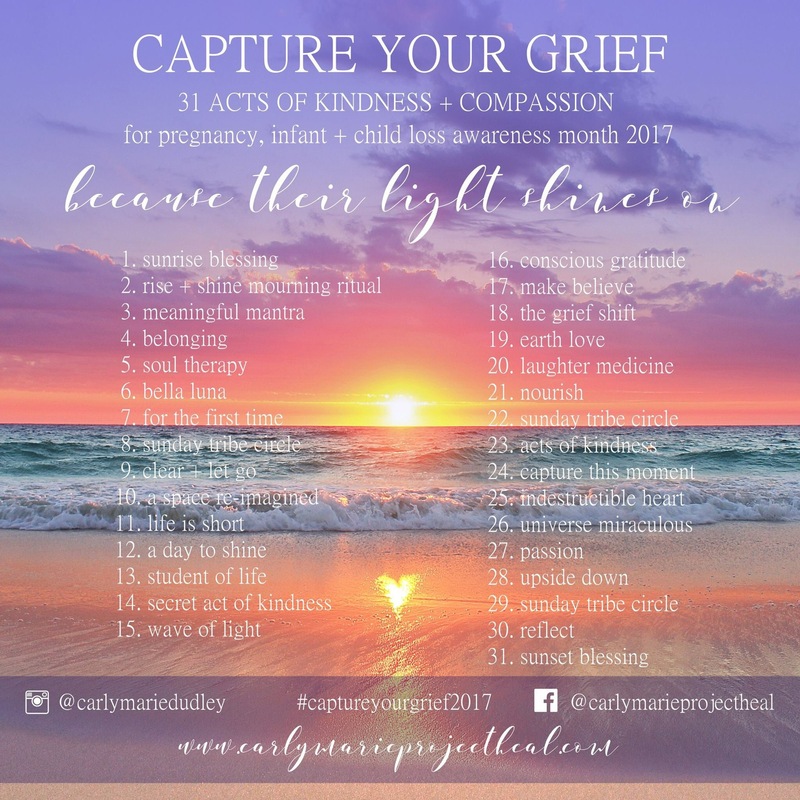 Pregnancy and Infant Loss Awareness Month and Capture Your Grief isn’t about showcasing the perfect moment, it’s about sharing our babies gone too soon and letting other parents know they’re never alone, no matter where they are in their journey. This entry was posted in Capture Your Grief, grieving, Jensen, miscarriage, stillbirth and tagged baby loss, Capture Your Grief, Capture Your Grief 2017, CarlyMarie, child loss, grief, grief journey, grief work, grieving, infant loss, infant loss awareness, Jensen, Jensen Grey, life, life after loss, loss, loss community, love, mama grief, miscarriage, Pregnancy and Infant Loss, Pregnancy and Infant Loss Awareness, Still Standing, stillbirth, stillbirth awareness, stillborn, Stillborn Still Loved, Sunrise, Sunrise Blessing, What Heals You by danielleridgway. Bookmark the permalink.